Search Results for "radio tuning"
Tv Glitch Radio Tuning Hand. 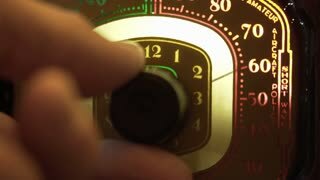 Many tv glitches over a scene: a hand turning the dial on an old vintage radio put on a night stand in a bedroom. Old radio. Tuning indicator programs. Vintage radio tuner dial moving back and forth. Macro vintage radio tuner with dial moving back and forth. Old vintage radio tuner with dial moving back and forth. Tuning an old AM/FM radio. UNITED STATES 1950s: Views of bats flying in cave / Man operating radio equipment / Man tuning radio controls. Vintage radio retro tuning detail. Detail close-up of a man's hand turning the dial on an old radio. Vintage retro fx. Vintage radio retro tuning bedroom. 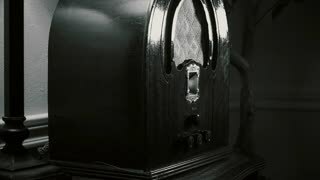 The hand of a man turns the dial on an old 1940’s radio sitting on a night stand in a bedroom. Vintage retro fx. 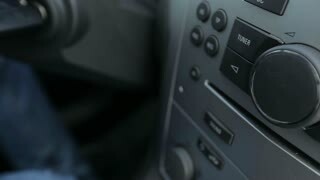 An analogue radio dial tuning in different radio frequencies. Old vintage radio being tuned by turning a dial. 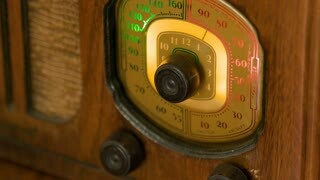 Radio AM FM tuning vintage red. 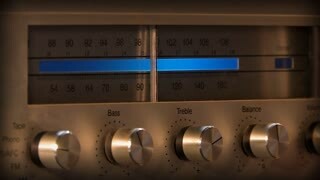 Turning the knob of a vintage AM-FM radio to get the desired station. Retro intense red color palette. Radio AM FM tuning normal. 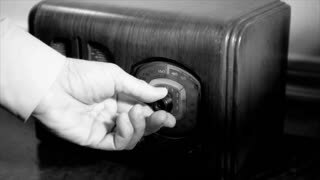 Turning the knob of an old vintage AM-FM radio to get the desired station.